Never Too Young to Reach Out | Victory - Honor God. Make Disciples. 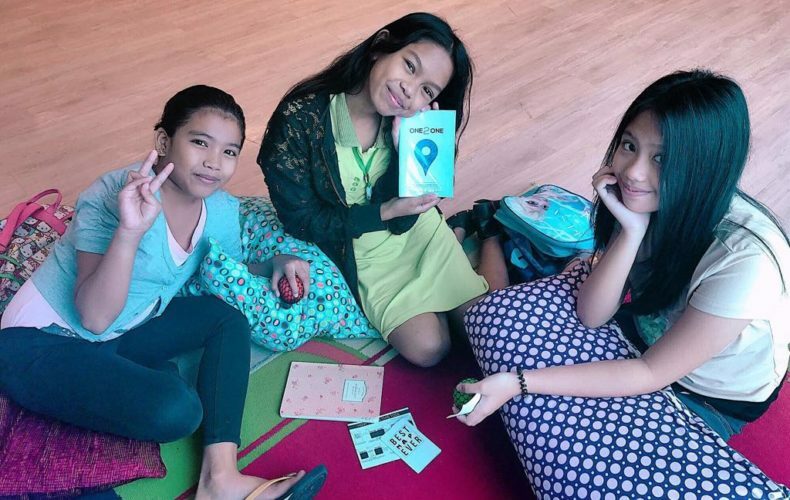 AG—a 12-year-old girl from Kids Church—made her own tool to share the gospel to her friends in a language that is easily understood by children. AG first attended Kids Church when her mother was invited by a friend to attend a worship service at Victory Fort. At first, she did not know that she was attending a church. It was more like a school and a big playground for her. She enjoyed learning new things while gaining new friends. Aside from having fun with other children in church, she was also happy to spend some quality time with her mother and sister every weekend. Going to church became their weekly bonding moment. Not long after, AG heard the gospel and accepted Jesus as her Lord and Savior. People in church helped her grow in her faith, and AG knew she needed to tell her friends about the gospel, too. She did not know how at the time, but she never stopped praying. The desire to be used by God simply grew in her heart. Though afraid that she would fail to say the right words, AG resolved to share the good news to the young girls in her group of friends. 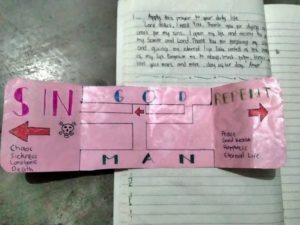 Inspired by a tool given out at Victory Fort to simply present the gospel to others, AG started creating her own version that she thought would help her friends. AG’s ‘Best Map Ever’, an evangelism tool she made herself so she could share the gospel to her friends. According to AG, the image of a map came to her mind one day while she was in Kids Church. She realized that every time we sin, we take a few steps away from God’s plan; we head toward the wrong direction—and the only way for us to get back on track is through repentance. AG believes that each time we repent, we allow ourselves to see the path that God has laid out for us. Fueled by her passion and desire to share the good news, AG showed her tool to her younger sister and preached the gospel to her. She also boldly shared it to her mother, who was in awe of how God was using AG to make Jesus known. She had never thought it was possible for a girl as young as her daughter to make such an impact. Today, AG continues to reach out to more kids in school and in church. She knows that being used by God this way is a privilege, and she wants to be a willing instrument of His mission. Like AG, as followers of Christ, let’s tell others about who God is and what He has done for us. No matter how old or young we are, God can use us to fulfill His plan of salvation and redemption—His mission, His heartbeat.